Goodwill of Greater Washington is an approved nonprofit charitable 501(c)(3) organization (Federal Tax ID: 53-0196588). Our mission is to transform lives and communities through the power of education and employment. Goodwill provides quality job training at no cost to our students. 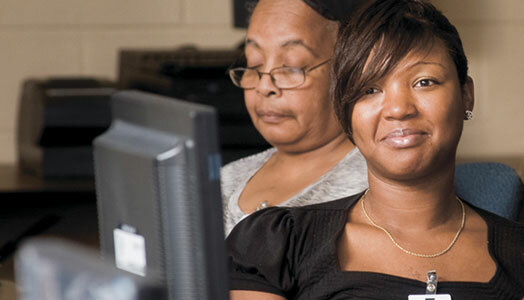 Goodwill’s job training programs focus on careers in high demand industries. Each program is specifically designed for unemployed and underemployed job seekers in greater Washington, DC region. We help you obtain valuable skills that will lead to a successful career. Our students receive industry recognized certifications, 1-on-1 job placement assistance, and tuition free job training. In today’s busy world, it takes time to recruit, screen, and train new employees. This is where Goodwill steps in. 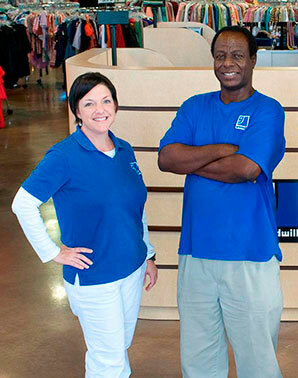 Our Goodwill employer solutions have provided job training and placement programs since 1935. Finding a job is not always easy and here at Goodwill we make things possible. We provide resources to help people achieve a career on their desired field. We offer online job fairs and as well as conduct local job fairs all around the Washington, DC metro area. Best Kept Buildings, an affiliate of Goodwill of Greater Washington, was established in 1996 to provide janitorial maintenance services to the commercial market around Washington, DC. Goodwill of Greater Washington’s Contract Services provides employment opportunities for people with significant disabilities by securing Federal contracts in accordance with the AbilityOne Program. These contract services provide employment opportunities including: on-the-job training, a fair wage, and benefits for people with disabilities, while providing the Federal government with quality custodial, total facilities maintenance, pest control, grounds maintenance, and glassware maintenance services. As part of Goodwill of Greater Washington’s commitment to environmental responsibility, we have established a number of eco-friendly policies that also contribute to our mission of job training, education, and job placement. Computer Recycling Program, Book Salvage Operations, Environmentally Friendly Service & Products, and Textile Salvage Operations are just some of our programs that help our environment by recycling and using environment friendly options. Goodwill of Greater Washington is always looking for young professionals to help make a difference in our nation’s capital. In some regions of our nation’s capital, unemployment is approaching 17%. Join Goodwill’s Young Professionals Council and become part of a group of young professionals committed to helping our region’s most vulnerable citizens find hope and dignity through the power of work.